A Studio in the Woods hosts “Unraveling Empire: Quilting the Connections Between Textiles and the Slave Economy” with resident artist Rachel Wallis, who explores the historical textile trade through her own quilting practice. Wallis leads a discussion with guest speaker R. Blakeslee Gilpin, author of John Brown Still Lives! 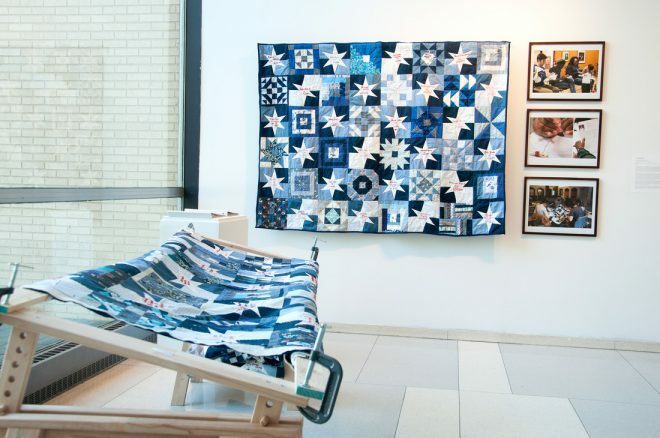 : America’s Long Reckoning with Violence, Equality, and Change, and participants assist in the production of a collaborative quilt.